At Park Academy Childcare our educational ethos is based upon the Emergent Curriculum – a research led, modern educational philosophy that focuses on creating meaningful learning experiences, through being responsive to the children’s needs and interests. It is a flexible, style of education that is child-led and driven by the observations and reflections of the education team. The model is centred on collaboration and active participation and so emphasizes the importance of play-based learning in early years and pre-school education. Play is a natural instinct for children and an activity that provides endless opportunities for learning. It is an enjoyable, fun way for children to acquire many of the pre-academic skills that they require for school, such as social skills and muscular strength (necessary for writing). It also provides an indirect concrete introduction to many academic concepts. 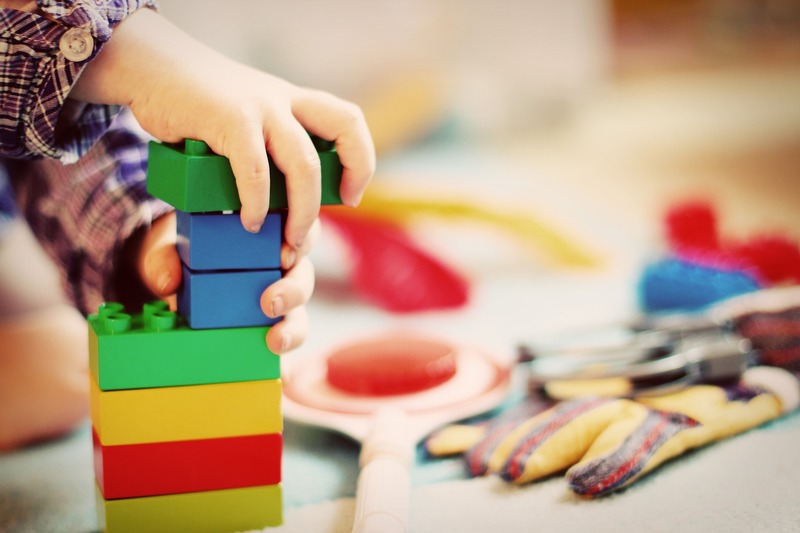 Playing with construction toys is critical for reading readiness as it enables children to develop the visual-spatial skills that they require for this task. It is also a valuable pre-writing activity as children need to develop these skills properly in order to hold a pencil. Another valuable aspect of constructive play is that it indirectly introduces children to number and quantity, as they count how many blocks they have or need to complete their construction. Understanding quantity is important for later mathematical education as children can then associate this with the number symbols that they learn. Without a basic understanding of quantity, children can struggle to make sense of the abstract concept that is number. Through the exploration of different open ended construction materials (such as Lego, blocks and cups) children also learn core scientific concepts such as force, gravity and classification. Experimentation and discovery foster the development of critical thinking as a child continually modifies and reconstructs their understanding. Imaginative play allows children to explore a multitude of real world areas in a safe environment and in a way that absorbs and engages them. Therefore role play is such an effective way for children to make sense of the world around them. Since role play is centred around language, it also promotes the development of speaking & listening skills. When children are engrossed in role play, they make use of pictures they have created in their minds to recreate past experiences, which in itself is a form of abstract thinking. As in every interest area, it is the role of the educator to recognise learning opportunities and to facilitate further learning. In the case of imaginative role play, the team may do this by leaving out pencils and clipboards on which the children can practice writing ‘orders’ or ‘prescriptions’. Creative play has long since provided many opportunities for a child’s development, from enhancing their gross motor skills (through for example cutting & sticking) to developing creative thinking. This type of innovative thinking is what has allowed mankind to progress to the level that we are at today and it is an essential prerequisite for problem solving. Therefore arts & crafts play an important role in a child’s academic development. At Park Academy Childcare, we focus on the ‘process’ as opposed to the ‘end product’ of art. When there is not just one right way to make art, every child can feel pride in their own original artistic creations and are free to explore & experiment, without the fear of failing. Our children just love being outdoors and the learning possibilities that outdoor play presents is endless. Over the years we have drawn great inspiration from the Scandinavian ethos of outdoor learning and this led to the establishment of Park Academy Childcare’s Nature Kindergarten – the very first of its kind in Ireland. Following the great success of The Nature Kindergarten, we have since applied our expert knowledge to each of our crèches, so that all of our children can avail of the great benefits that outdoor play has to offer. Having access to a large, open space allows children to be more expansive in their movement, create larger structures with an array of different materials and engage in explorative messy play. Outdoor play also promotes social and emotional development, for example children build resilience and perseverance through picking themselves up after a fall. These are crucial life skills which are becoming ever more important in today’s world. Despite popular belief, there’s a lot more to water play than just ‘splashing around’! Water play is an important activity which indirectly introduces children to maths and science concepts such as measurement & density. This type of play is a big hit in our crèches and is also hugely beneficial in developing muscle strength in a child’s hands, necessary for writing. Playing with water develops a child’s problem solving ability as they have lots of opportunity to test out different approachs – floating and sinking is a perfect example of this. Our Early Years Educators help to extend these discoveries by adding soap, food colouring or scents such as lavendar, which also make the activity all the more fun and interesting for the children. Sand is a fantastic natural, open ended material and just like water play, it is a soothing, activity in which children can become absorbed for hours. This type of play provides ample opportunities to introduce mathematical concepts, with the children coming to a natural understanding of concepts such as heavy and light, more and less and full and empty. They also acquire the mathematical language to describe these concepts, which extends their vocabulary. Sand play is a valuable pre-writing activity as the children’s small muscles become more developed through manipulation of the material, whether that’s scooping, digging or pouring. 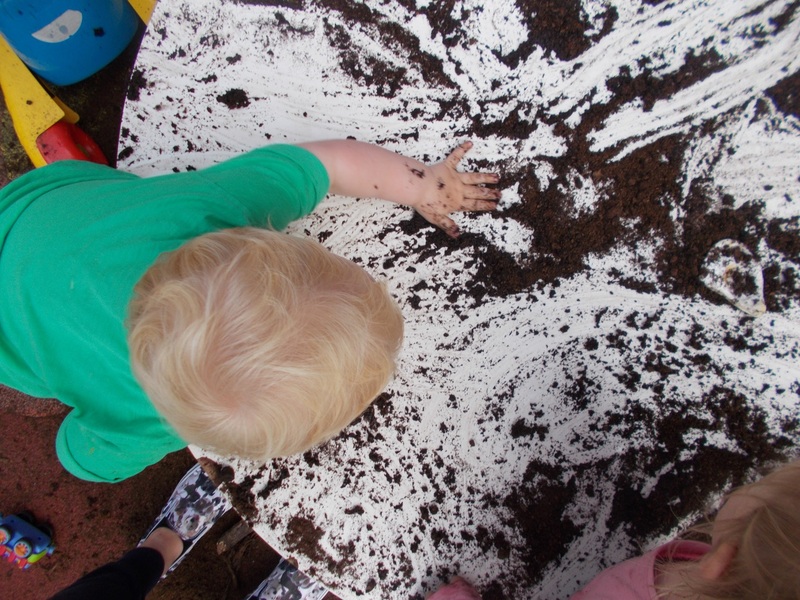 A popular hub of activity, the sand tray plays a vital role in promoting social development as the children need to learn to work together and solve problems as a group. By facilitating and scaffolding a varied range of rich play experiences; we enable children to develop a holistic set of skills and pre-academic abilities which will support them in school. Learning in such a fun, enjoyable way also provides a positive early learning experience for young children, which will instill in them a life-long love of learning. It is only through this attitude that children can truly explore their gifts and abilities and reach their full potential. Interested in learning more? Why not arrange to view your chosen crèche centre so that you can meet our team and see for yourself the reason why were parent’s no.1 choice for childcare and education in South Dublin & Wicklow. Contact our friendly team today to arrange your viewing or for more information.